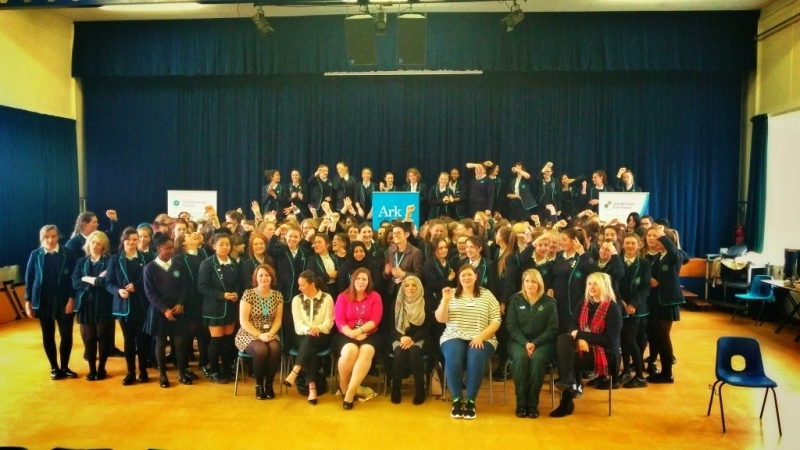 ARK Helenswood Academy is one of Future First’s ‘In House’ schools, which sees a Future First staff member working on site to rapidly embed a culture of alumni engagement across the fabric of the school. The school have made great progress and have have invited alumni back to support in the curriculum, to speak in assemblies and take part in inspirational workshops. For International Women’s Day, Helenswood’s Head Girl organised an inspiring alumni event for her year group as they prepared for their GCSEs and leaving Helenswood. Future First helped her make the event a reality by briefing teachers on facilitation techniques, reaching out to former students to come and share their stories and creating resources. The event resulted in fantastic feedback from students. 92% of students said that they were more or much more confident about being successful in the future after the session. When asked what she would do differently as a result of the session, one student said: “Now I’m going to try harder, be more motivated and perhaps start considering a career pathway”. Helenswood are starting to see committed return volunteers: one alumna has since appeared on a poster and has since been back to deliver her own careers workshop.